Now that we’ve gotten some basics out of the way, I have a question that might be more basic than the word “holy” itself. 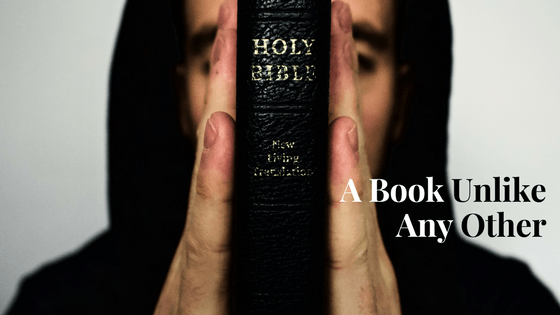 Why is the Bible called “The Holy Bible”? Don’t worry I’m not going to go into a Bible study, but I am going to use the Bible to bring you this next point. Since we’re in this series “Holy is Not What You Think”, we have to touch on three phrases: Holy Bible, Holy One, and Holy Spirit. There’s not many people who don’t have one or access to one and very few who’ve never seen or heard of the Bible. Written on its cover and spine are the words “Holy Bible”. Even the bible app is titled, “Holy Bible”. But why? What’s really amazing to me is that we all have one and yet have never given a thought to the words written on the front. You would think in church 101 you’d be introduced to your bible. Let’s give it a try. The word bible derived from words that mean book or books. So The Bible is simply a book. As you become more of a student of it, you’ll learn that it’s a book of books. Regardless, it’s a book. Now, let’s take the word “holy” and place it in front of it – Holy Bible. Logical thinking alone gives you a better picture of what the Bible is. It’s a “holy” book. Let’s discuss a problem found with placing the word “holy” in front of Bible. Because we misunderstand the word “holy”, we have made the assumption that the Bible is undoable and physically has some divine properties. Just ask someone if they have ever thrown a Bible away or placed it in the trash. Most would never consider doing such. Place your hand upon one and you’re compelled to tell “the whole truth and nothing but the truth”. Could it be that the Bible has something to offer that no other book can? We know this is true. The word “holy” precedes Bible because there is no book quite like it. There’s no other book that comes close to being like the Bible. It’s “holy” because it’s one of a kind and nothing like it exists anywhere else. This book, because it’s “holy”, can give you what no other book can. In fact, the Bible is alive and full of more than words; it has power in and of itself. It doesn’t take a rocket scientist to prove that the book is unique. It only takes a person who will dare read it. It has the ability to transform your life into something totally new, full of meaning. The main purpose of the Bible, because it’s “holy”, is to teach us how to be “holy”. The word “holy” isn’t just a title, but as a reminder that it’s there to teach us how to be “holy”. We got the Bible all wrong by misunderstanding “holy”. Holy is not what you think!